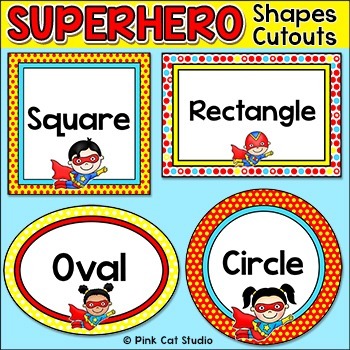 Superhero Shapes Cutouts: This product includes a set of 12 shapes cutouts in a fun Superhero theme. 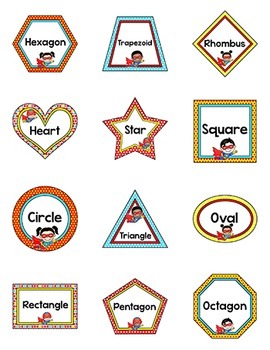 The shapes included are: circle, square, triangle, oval, rectangle, rhombus/diamond, pentagon, hexagon, octagon, trapezoid, star and heart. Print onto heavy weight paper and then cut out each shape and adhere it to your bulletin board or wall. An editable PowerPoint file is also included so that you can change the language or wording to whatever you like. 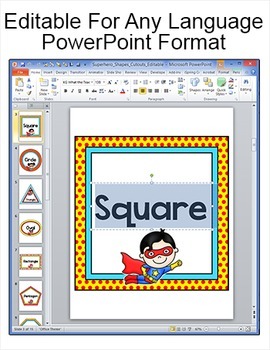 You must have PowerPoint in order to edit the posters.